We are looking for an experienced project manager for interactive design and development on a broad range of map- and data-focused web projects. GreenInfo Network is a 22-year old, Oakland-based nonprofit that works for 80-100 public interest groups annually, helping them with a wide range of interactive, analysis, and print cartography projects. We’re widely known for the quality of what we do and the positive relationships we maintain with our clients. 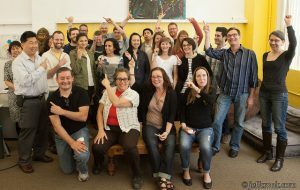 Our team is small and very experienced, about a dozen people, mostly based in Oakland’s Uptown neighborhood, but also with off-site staff in Oregon, Washington, and Vermont. You’ll work with clients ranging from government agencies to national nonprofits to small land trusts and advocacy groups. You’ll run projects that last anywhere from a few weeks to more than a year. All our work is in the public interest, covering a huge variety of topics and locations. – California State Parks staff working to make tools that level the playing field for communities seeking public funds for local parks, so that communities that most need investments get them. – The Google Earth Outreach team and global nonprofits including the Jane Goodall Institute and Mission Blue. – The Learning Policy Institute mapping equity in school funding, teacher salaries, and more. – The International Accountability Center and EndCoal.org, mapping global fossil fuels and international development banking. – Establish understanding of project goals, key users, available data, and client capacity/need for support in their participation in a technical process. – Develop and use Scopes of Work to create plans of action. – Run the design and build process, including soliciting client feedback, using Github issues to log clear tasks for project team, reporting back to client on results. – For projects you are running, co-own vision with Interaction Designer or other project lead, serve as client advocate internally and scope/team advocate externally. – Keep projects on budget and schedule while maintaining high quality of work. Our interactive team is almost entirely off-site (three people in Oregon and Vermont), so if you thrive in a remote team, that’s best. We bill the vast majority of projects based on time and materials (T&M) instead of fixed bid. This makes managing projects easier at one level, since clients share responsibility for staying in budget. But we’re able to maintain these relationships because we deliver tremendous value, work quickly, and maintain ongoing transparency with clients about scope, progress, and amount spent. Other GreenInfo staff also run projects, so we will scale work to this position according to capacity. We anticipate this person working on 5-7 projects at a time. You will also take the lead on scoping new projects in collaboration with the Executive Director and other staff. – You are passionate about inclusive, user-centered design and iterative development. – You love helping clients discover the underlying need behind a feature request. 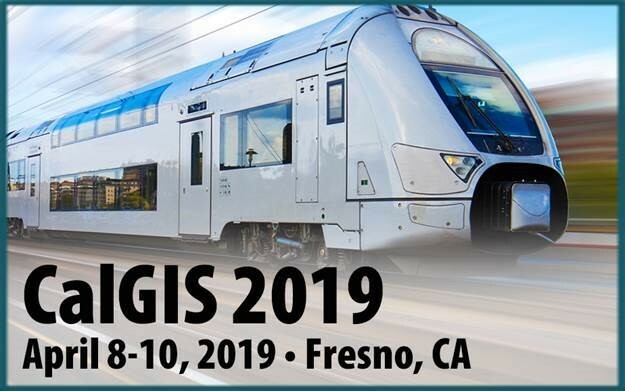 – You’ll have a solid understanding of capabilities/levels of effort involved in implementing common interactive features using standard web and open source geospatial technologies. – You love using GitHub issue tracking. – And you think fondly of Google Sheets and the rest of the Google Apps suite. We’re a small shop, so we’re looking for you to bring a combination of project management and production skills. Perhaps you excel at concept development, copywriting, and wireframing. Or you’re really good at initial data vetting and validation. Or maybe you bring experience with QA and testing. Don’t have all these skills but do have real passion for using technology for the greater good? Get in touch! We assume no one can bring all those skills to the table, but if you bring the right combination, so that on smaller projects especially they are able to directly contribute to completion and delivery. At GreenInfo, we work in the unique intersection of technology and nonprofit advocacy, with a large part of our history in support of land conservation. To serve the public good while pushing the edge of new tech is extremely rewarding. While we celebrate our 20+ years helping nonprofits in this sphere, we also recognize that both the tech industry and the conservation movement have histories of exclusion. We are conscious of that history, and are focused on improving our hiring practices, organizational culture, and project approaches to be ever more inclusive. GreenInfo Network is an equal opportunity employer. Women, people of color, and members of the LGBTQ+ community are encouraged to apply to this position.